God within me God without, how shall I ever be in Doubt. I am the sower and the sown, God’s self unfolding own. As a Christian Spiritualist, Jesus is the one true example of all I know to be the truth. He was a soul living an earthly life through a physical body, and a material world. He was fully aware of his soul connection to the source, that we have named God. He was also a medium and healer, and when he died his spirit left his body and went into spirit, so what makes Jesus so different to me, or any of us, I believe it is now the time to really change our perception of ourselves. As I have long realised he was the personification of us all, his message was very simple I am you. And we can all develop the same love, compassion, kindness, as Jesus by knowing he came to show the human race who we truly are. We are souls living and learning through a human experience, this is what I believe he was teaching us, when he said, “I am the way the truth and the life. No one comes to the father except through me” Jesus is an ascended master do we really think that he wanted to be worshipped, with worship it focusses all the goodness and divinity onto him, and makes us blind to our own goodness and divinity, and to his teachings, distracting us from developing his teachings from within, making us the hopeless sinners we are led to believe we are by organised religion. 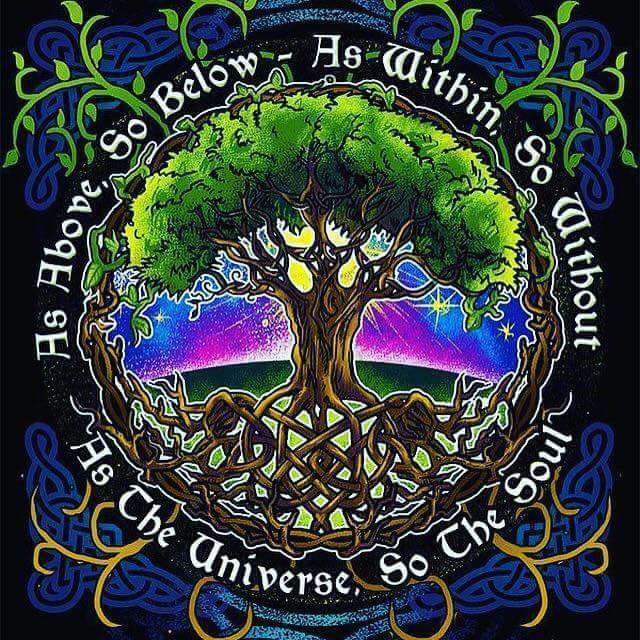 I feel strongly to say he wanted us to listen to him, and learn from him, about the truth of our existence here on mother earth, and to our soul connection to what we have named God, and for his teachings to be passed down through the ages. By doing this the consciousness and vibration of the human race, would have been raised to a much higher level, collectively and individually, this I believe was the purpose of Jesus being here on earth, he was actually trying to save us from ourselves, but through religion we have totally missed the point of the teaching and lessons. Religion is great for souls to come together, to share support and grow together, but sadly it has been corrupted by mans need for power and control. Jesus had his troubles and temptations here in his short earthy life as we do, yet throughout his life he taught and guided us, how to deal with our problems, this is Jesus man and teacher, he dealt with his problems with love and intuition, at times he did not have the answers so he prayed, he asked for guidance and direction, as we do when we are lost, he was tempted by the devil out in the desert, for strength to resist temptation he prayed, and in doing so he was attuning himself, to the source of his being that we have named God, and in doing so attuning himself to his higher self, in his life story the source was identified as his father, I know the source to be the father and mother of us all depending on your perspective of the source. I really feel strongly to say it is wrong to believe, that Jesus was the son of God, in fact he was our brother, teaching us of our connection to the source throughout his life, to believe Jesus was the son of God, makes him some kind of supernatural being, within our human biological mindset. When in truth Jesus was exactly the same as us, mind, body, spirit, soul, living an earthly existence to experience, learn, give, and grow. To look on Jesus as a supernatural being, is now very old hat and wrong we have to remember that Jesus, was communicating to people 2000 years ago , so the source through him was communicating to the level of understanding at the time, we now live in a time of science and technology, its about time our understanding of life and spirituality, moved along with the times, but man made religion likes to keep us in our place, so we remain its servants via a man made supernatural being, and making us feel incapable of attaining, what Jesus taught us what is naturally within us. When Jesus spoke of his fathers house I strongly believe, he was talking of what we believe is heaven, or as I believe the spirit world, the many mansions he spoke of, to me are the many many levels of spirit within the spirit world, nobody knows how many levels there are, as there are many lives and existences we know nothing about, it is a massive universe we live in. Jesus said he would prepare a place for us, I really do not believe Jesus meant as religion tells us, that we have to believe in him or the man made religion that adopted him, to gain a place with him in heaven or the spirit world, the place he would be preparing for us would be defined by, the life we led here on earth by our thoughts and actions, as to the kind of room that would be prepared for us. My house has many mansions means to me, that there is room for all, our thoughts and actions here on earth dictate, whether we land up living eternally in a palace, or a slum, a nice maisonette, a council estate, or suburbia. Our level of spirit is dictated by our soul progression, again by our thoughts and actions here on earth, we can as souls go up and down the levels of spirit, depending on our thoughts and actions, the choice is ours Jesus was guiding us to choose love, kindness, and compassion, over hatred, anger, selfishness , ignorance. We all have the universal gift of freewill, so we should make our choices wisely, freewill is the engine of spirit and soul development, let us make the template for our lives the teachings of Jesus, and all the other ascended masters, because they all brought the same message to us, the truth has one source but many different teachers, depending on our level of understanding. At this time we see Jesus the man, living life by his freewill and choices, because his teachings were love, I honestly do not believe he realised how much upset, he was causing, he was upsetting religion and government, the two most powerful factions of the time and still are to this day. On his crucifixion Jesus said “father forgive them for they know not what they do” but they knew exactly what they were doing, they were getting rid of a trouble maker, because of the collective ego, they did not want to lose there power, they chose that over change and progression, to a better way of life, yes they were driven by greed. I do not believe Jesus wanted to die that day, as he prayed and asked his father for help to live, religion tells us that Jesus died to save us from sin, again making him supernatural but it was the sin of greed that killed him. We have to take the teachings of universal and unconditional love within, make them our living and speaking truth through the heart, then Jesus death would not have been in vain, whether you believe Jesus existed or not, its a great story that can heal guide and uplift us. Over the years I have asked many people if they meditate, because I feel it could help them, or spirit feels it would help them to meditate, mostly I get the same answer. Its to difficult, my mind wanders , I have to much on my mind to meditate, I have not got the time to meditate. So I have decided to write this blog, to outline a simple way to meditate. Meditation is a great way to relax and focus our minds, to find answers to questions, or to calm turbulent thoughts and emotions. The first thing I was taught about meditation, is you cannot have imagination without an image, so meditation is simply day dreaming. And that is something we all do, but unlike day dreaming where our minds create the mental images we would like, such as winning the lottery, or getting a date with a film or pop star, being with someone we miss, or our penchant for looking back into the past, and the many what ifs that arise from mentally living in the past, our minds create the mental images of the most satisfying possibilities. Meditation is in fact focussed day dreaming, whereby we mentally get the image we want, within our minds eye and allow everything else to take place without our input. A good starting meditation is to imagine yourself sitting alone on a beach, on a warm sunny day mentally put yourself on the beach, focus on smelling the sea air, hearing the waves lapping on the shore, watching seagulls flying above the waves, what other sights, sounds, and senses are you aware of. We only need to meditate for a few minutes to get the benefit of it. Being perfect at meditation is not the point of meditation, levitating our minds to a more peaceful, higher level of awareness is the aim of meditation. We are exercising mental muscles we don’t often use. But like any exercise, the more we do it the better we get at it, if we are distracted by other thoughts. Like work, or what to have for dinner, financial and emotional worries, discard those thoughts let them pass and get back to your beach the more frequently you meditate, I suggest 2 or 3 times a week, distractions will become less and less. A simple exercise I use to prepare for meditation, to help focus my thoughts, is what is known as stepping into the moment, this is what I find best do, and works for me. 2, Shut your eyes and inhale through your nose, and gently exhale from your mouth, this helps relax our muscles and stimulates our minds, to a slightly higher state of awareness, to prepare for meditation. 3, Realise it is only us that makes the noise with our thoughts and feelings, sit quietly and realise that you have peace and tranquility all around you. It is only us that makes the noise so put your thoughts and feelings to one side, it does not matter if a bomb is falling on your house, step into the peace and tranquility of the moment. This can also be difficult to achieve, but the more we practice meditation we will find it easier to be in the moment. 4, Once in the moment or your feeling more relaxed, remember to discard any day to day thoughts, worries. anxieties, aches and pains. Not easy to do but practice makes perfect, I have been meditating for years, and still get distracted but don’t be disheartened, just get back to the image you started with. Now your ready to visualise where you want to be, it can be anywhere but make sure it is a positive image, like sitting on a beach, or walking down a path in the forest, focus on what you can see. hear, sense, smell, within your image dont tamper with it let it play like a movie. Meditation teaches us and helps us to discover our trueselves, other than what we have conditioned ourselves to become. Helping us to become a better version of ourselves, so honesty with ourselves is a priceless tool in meditation. If you the reader meditates using the above suggestions, if you have any questions please don’t hesitate to contact me Email- stephen@thelifeandtimesofstevieboy.blog I will be happy to discuss the above steps with you.